How is it possible that just about everything goes wrong when you are trying to obtain a visa? At some point during our China visa adventure we started wondering if we should give in to the obstacles and simply go somewhere else. But let’s start at the beginning. As with all our other countries on our round- the-world-trip, we inquired before leaving Germany what were the visa requirements for China. It seemed pretty straight forward and we chose Jakarta as best place to apply for our entry permit. According to the information on the net it would take about 5 days processing time to get the visa, so we planned on 5 days in the city and booked a flight to meet up with our friends in Sumatra afterwards. After arriving from Bandung at the Jakarta train station we took a taxi straight to the visa agency, which is the only way to apply for the permit. As soon as we walked through the door of the agency we were stopped and asked if we had a residence permit for Indonesia. If not, we would not be able to get a visa. We tried to make the agency employees understand that we had already booked our flight to Beijing from Jakarta and our flight to leave China as well, as these were the requirements for the visa. We explained the information what we had found online, but it was in vain. No visa without residence permit. We were devastated! 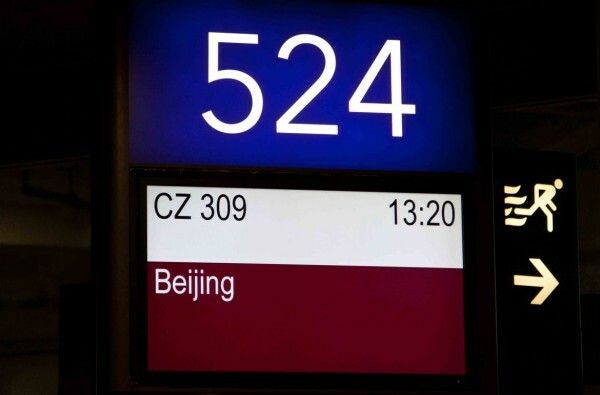 Not only had we waisted money on the flights, we were also supposed to meet my good friend Ralf in Beijing and he had already booked his flight from Munich. We had no clue what to do now. All I knew was, we couldn’t bail out on Ralf! After extensive research for a few days in the hotel (after all, we had 5 days to kill in the city) and chats back and forth with Ralf and a visa agency in Hong Kong, we had found out that apart from Hong Kong it wasn’t possible to obtain a Chinese visa anywhere if one wasn’t a resident. In Hong Kong there were two possibilities for Germans: Get a regular tourist visa which would take 4 working days or get a group visa which would take one working day, but would be unchangeable. 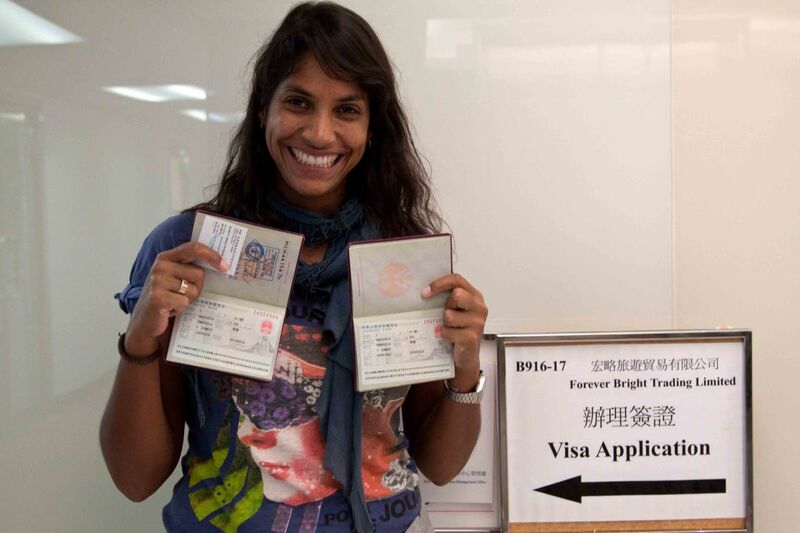 As we were planning to extend the 30-day visa once in China we decided on the former and booked a flight to Hong Kong and another one from Hong Kong to Beijing giving us four work days in between. After that we tried to forget about the visa issue and about the possibility of the Chinese embassy making any changes to the visa procedures before our arrival and to enjoy our time in Indonesia. When we landed in Hong Kong one and a half months later, we were very anxious to get the process started as soon as possible. We got to the visa agency early the next day, hoping to be the first in line, when the lift boy not speaking very good English took us to the closed office door on which a print-out informed us that it was Buddha’s birthday and therefore a holiday in Hong Kong. We were speechless! How could we have been so busy worrying about the embassy changing their application rules that we totally neglected to check for holidays? We decided not to panic and wait till the next day to see if maybe we were lucky and the visa could be processed within 3 working days, making it possible for us catch our flight on Sunday to Beijing. But guess what? We were not lucky! Not only that. We thought we had a back-up plan. Should it take the aforementioned four days, we would just change our schedule and go with the group visa that would only take one day processing and we would leave after the allowed 30 days to somewhere else in Asia. BUT, the Chinese gouvernment had decided to abolish the group visa just three weeks earlier. Good-by back up plan! Once again, we were shaken! We knew we had to decide fast now what we were going to do. Unfortunately I was completely incapable of thinking, let alone make a decision at this point. So V took over and suggested we just book a new, third flight to Beijing and we would go the four day visa route. It was Wednesday and our visa would be ready on Monday, so we booked a new flight for Tuesday right there at the agency office, gave the people behind the desk our passports, filled in the forms and asked if it was definite now that we would get the visa. Naturally they were not able to guarantee anything and we walked away feeling rather worried. We tried to enjoy six long days in and around Hong Kong and sighed with relief when we finally held the visa in our hands on Monday. We couldn’t believe it when at last we boarded a plane to Beijing on Tuesday. So glad this post came with a happy end! Can't wait to read the next post! It's been loads of fun sharing a tiny stretch of the unexpected journey with you!! So are we! It was fabulous that you were part of our unexpected journey for a while! We really enjoyed your company! !